Day 01:- Fly to Bahirdar, visit Blue Nile and Lake Tana Monasteries. Day 02:- Drive to Gondar and visit 17th century castles and Debre Berhan sillassie church. 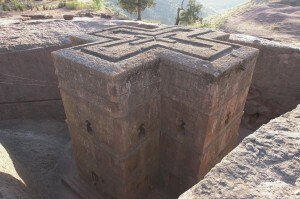 Day 03:- Fly to Lalibela and explore 13th century rock hewn churches. Day 04:- Excursion trip from Lalibela to yemrehane kirstos cave church. Day 05:- Fly to Axum and visit the obelisk park, the archeological museum and other sites. Day 06:- Fly back to Addis Ababa.